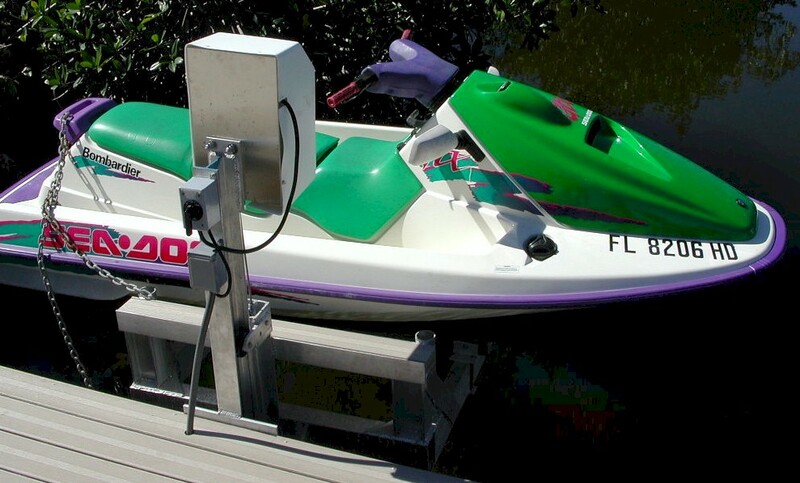 Our personal watercraft lifts are the most advanced lifting designs ever devised. They represent the perfect marriage to function, engineering, speed, aesthetics, and convience. 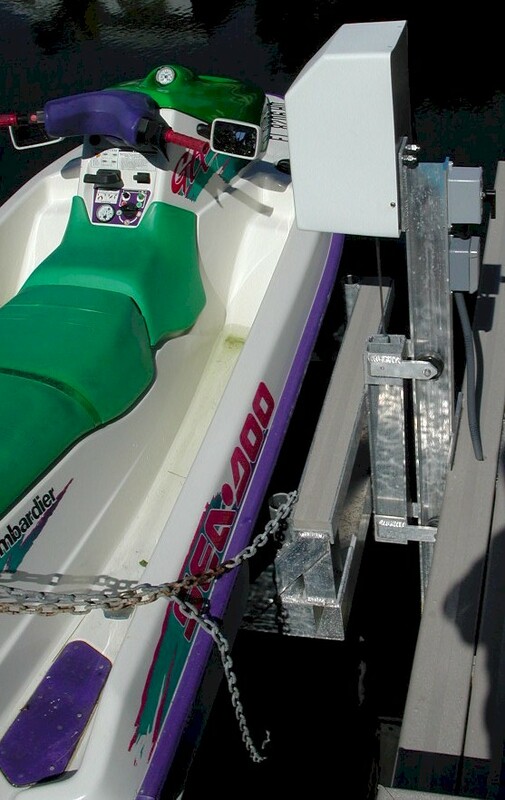 Our personal watercraft lift is constructed from 6061-T6 aluminum and stainless steel. 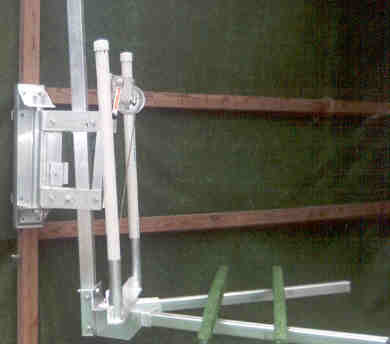 It has a single track design with machined aluminum pulleys, and phonolic wheels(instead of rubber). It is available in electric or manual models. 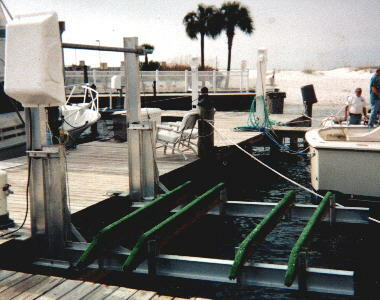 Dock, piling, or seawall mounting systems are available. 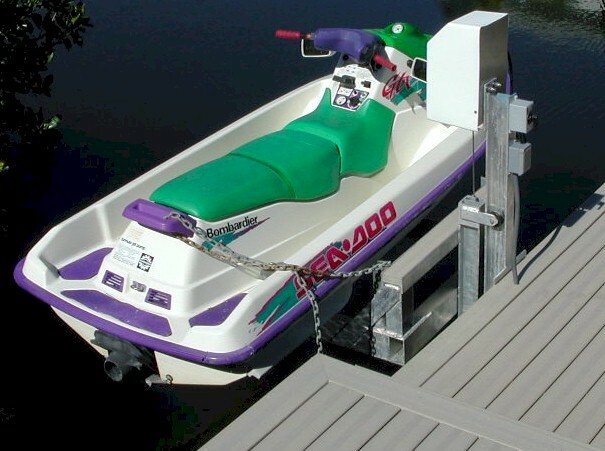 The weight capacities range from 700 lbs. to 3,500 lbs.